I recently completed a study of this book. It contains many great insights. So many I'm begun to read the next two books the author has written since this one, 'Homo Deus' and '21 Lessons for the 21st Century'! Through reading this book and watching videos like this one I've become a fan of Yuval Noah Harari. One insight that's really intrigued me is the concept of 'Imagined Order' or 'Imagined Realities'. This concept highlights that the world's systems, legal, economic, political, business and religious, are all made up by us, for us, and increasingly obvious to me for the benefit of the few rather than the many. Studying this book has rekindled my passion for standing for enlightened self-interest and standing against self-interest. Enlightened self-interest for me is simply acting to further the interests of others without attachment, knowing that my own interests will be taken care of as a consequence. This is very different to self-interest which seems to drive many of our politicians and so-called business leaders who act according to their own selfishness. All over the world I see self-interest destroying businesses, families, lives in general, and of course, being in the grip of self-interest means we are not yet able to avoid the catastrophes caused by our inability and unwillingness to live in harmony with our planet. The good news is that I also see productivity and positivity going through the roof, and the changing of what’s normal for the good of people and our planet, when the awesome power of enlightened self-interest is at work. Properly understood, sustainability is not the same as corporate social responsibility (CSR)—nor can it be reduced to achieving an acceptable balance across economic, social and environmental bottom lines. Instead, it is about the fundamental, intergenerational task of winding down the dysfunctional economic and business models of the nineteenth and twentieth centuries, and the evolution of new ones fit for a human population headed towards nine billion people, living on a small planet already in “ecological overshoot”. John's dream can easily be achieved. We simply reimagine our systems and models and replace the nineteenth and twentieth century ones! Of course the stumbling block, the barrier, the mountain to climb over is self-interest. 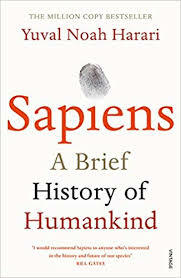 In his 'Sapiens' book Harari walks through key moments of The Scientific Revolution that began in the 16th century. More has happened i.e. been invented and imagined in the last 500 years, than at any other time in history. One of the triggers for this revolution no doubt was the idea of the earth revolving around the sun by Nicolaus Copernicus. Prior to his publication in 1543 the so-called infallible sources such as religions believed that the earth was the centre of the universe. Is enlightened self-interest driving you? 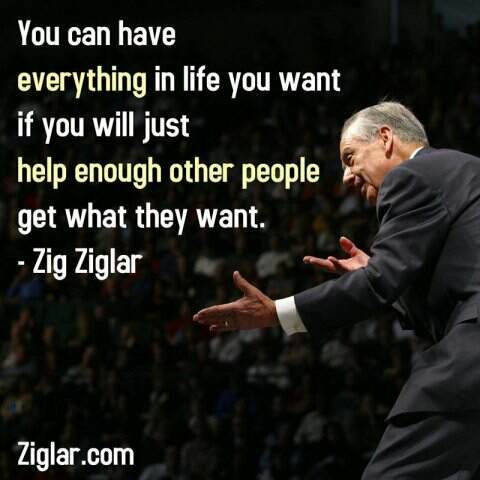 Could you do more for your world and therefore for yourself? How many of your actions yesterday feathered your own nest and cost somebody else something they didn’t want to give away? In your lifetime what have been the ideas, theories etc once accepted as truth that are no longer believed in or relevant? In your business what 'imagined orders' in the forms of processes, policies, procedures, practices and systems will you reimagine and replace? PS I've been a keen student of what the last 500 years of history has brought us and the consequences for most of my adult life. Below is a selection of works I recommend in addition to the 'Sapiens' book referenced here. Here's my full recommended reading list.